My dislikes: Being an orphan, having red hair, people twitting about my red hair, being called 'carrots' by Gilbert Blythe. My likes: Living at the Green Gables with Marilla and Matthew Cuthbert, my bosom-friend Diana, dresses with puff sleeves, renaming Barry's pond the Lake of Shining Waters, coming top of the class. My regrets: Dying my hair green. Smashing a slate over Gilbert Blythe's head. My dream: To tame my temper. To be good (this is an uphill struggle ). To grow up to have auburn hair. L. M. MONTGOMERY, known as Maud, was born on Prince Edward Island, off the coast of Canada, in 1874. Maud's mother died when she was just a baby and so she had a rather unhappy childhood growing up in the care of her strict grandparents. She was just sixteen when she had her first poem published. As a young woman she worked as a teacher and although she didn't enjoy it much it gave her lots of time to write. 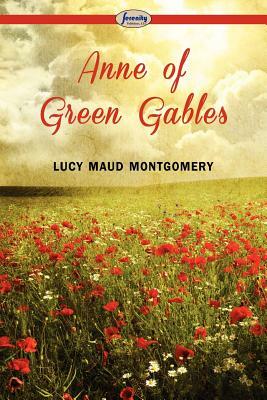 Maud wrote hundred of short stories, poems and novels throughout her life but it was the hugely popular "Anne of Green Gables" and its sequels that made her famous. She died in 1942.